1.1	Samaritan’s Purse is committed to protecting your privacy and will only use the information that we collect about you lawfully. This policy is designed to provide transparency into our privacy practices and principles and to inform you of the way your information is collected and used. 1.2	If you have questions about this policy, please contact by writing to Samaritan’s Purse, PO Box 3000, Boone, NC 28607, or calling (828) 262-1980. 2.3 We do not collect “sensitive personal data” about you, such as religious beliefs, genetic data, biometric data, data concerning health, unless there is a legitimate reason to do so. If we need to collect this type of data, we will obtain your consent or draw this specifically to your attention so you understand what information is needed and why we need it. 2.6 These third parties are often processing your data on your behalf so as the data controller, Samaritan’s Purse is responsible for the security and proper processing of your personal data. 4.1 The information we collect from you will be stored in the U.S. However, there may be times when we need to transfer your data to a destination outside the U.S. to provide you with requested services (e.g. You request information from one of our worldwide office). If we send your personal data outside the U.S. or other areas outside the European Economic Area (EEA), we will take reasonable steps to ensure that the recipient implements appropriate measures to protect your information. By submitting your details, you agree to this use of your data. 5.2 We do not sell rent or lease your personal data to third parties for the purposes of marketing. However, we may share information with our Ministry Partners, such as the Billy Graham Evangelistic Association (BGEA), and other parties to assist us with establishing, maintaining, and managing our relationship with you and providing ministry products and services. 6.1 We may need to disclose your information to other offices in some circumstances with your consent. 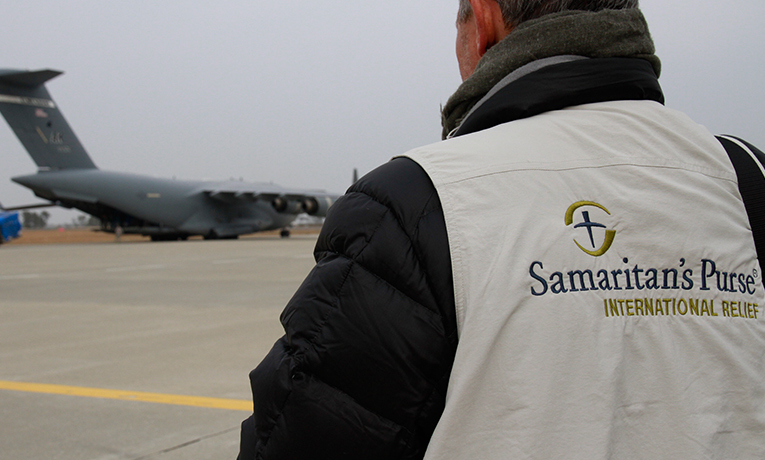 Samaritan’s Purse has its international headquarters in the U.S, but works in over 100 countries. Samaritan’s Purse offices in other countries may be best placed to manage your relationship and provide you with any necessary support. 6.2 For example, if you provide support or are involved in a Samaritan’s Purse project or activity in one of our international locations, elements of your personal data (e.g. your name and address) may be shared with the relevant Samaritan’s Purse office in that country in accordance with this policy. We will only share your details with another office in accordance with data protection laws and regulations and where we have your consent to do so. 6.3 Other Samaritan’s Purse offices may legally be required to share data in accordance with their relevant domestic legislation and potential law enforcement requirements. (c) calling our representatives at (828) 262-1980 between 8am-4:30pm (Monday through Friday). 7.2 Instructions for unsubscribing from emails will also be included in each email communication we send. 7.4 If you not satisfied with the way we have processed your personal data, please contact our data privacy representative(s) using the contact information set out in the introduction and section 7.1 of this policy. For those in the EU, if you are remain dissatisfied with how your complaint is handled, you can contact the Information Commissioner’s Office (ICO) at https://ico.org.uk. Alternatively, if you are located within the EU, you are entitled to make a complaint directly to the ICO without first referring your complaint to us. 10.1 We retain personal information for as long as we reasonably require it for legal or business purposes. In determining data retention periods, Samaritan’s Purse takes into consideration data protection regulations, local laws, contractual obligations and the expectations and requirements based on the nature of the relationship with Samaritan’s Purse.